Aspen Santa Fe Ballet's bold vision—top global choreographers, distinctive groundbreaking works, and virtuoso dancers—has fostered a jewel of a dance company in the American West and beyond. ASFB's unique pioneering spirit arises from a paired set of home cities: Aspen, nestled high in the Rocky Mountains, and Santa Fe, gracing the majestic Southwestern plateau. Since its founding in 1996 by Bebe Schweppe, the company has served as a prestigious incubator and a showcase for choreographic invention to popular and critical acclaim. The performing troupe forms the core of a multifaceted arts organization with activities in both Aspen and Santa Fe. Repeat engagements at the Joyce Theater, Jacob's Pillow Dance Festival, Kennedy Center, Wolf Trap Center for the Performing Arts, the American Dance Festival and the Harris Theater for Music and Dance have built a national reputation. The company has also toured internationally to Brazil, Canada, France, Greece, Guatemala, Israel and Italy. 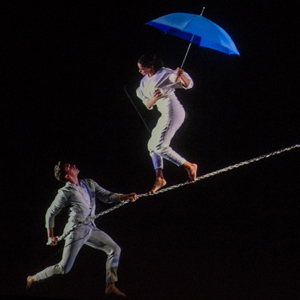 A respected arts presenter, ASFB curates high-quality dance programming for home audiences. Dance education is a priority, with well-established ballet schools training children and adults in both markets. An outreach program steeped in Mexico's rich folkloric culture fortifies community connections. Premier funders such as the National Endowment of the Arts, the Joyce Foundation, the Wolf Trap Foundation, Dance St. Louis and The Princess Grace Foundation have supported ASFB's growth. In 2010 the Joyce Theater Foundation conferred upon Artistic Director Tom Mossbrucker and Executive Director Jean-Philippe Malaty the Joyce Theater Award in honor of their pioneering and innovative model for American dance. 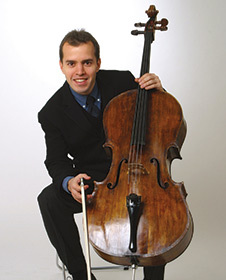 Principal Cello of the Seattle Symphony since fall 2011, Baltacıgil was previously Associate Principal Cello of The Philadelphia Orchestra since 2003. Recent highlights include his debut with the Berlin Philharmonic under Sir Simon Rattle, performing Bottesini’s Duo Concertante alongside his brother Fora; performances of Tchaikovsky’s Variations on a Rococo Theme with the Bilkent Symphony and the Seattle Symphony; and Brahms’ Double Concerto with violinist Juliette Kang and the Curtis Symphony Orchestra. Augustin Hadelich has firmly established himself as one of the great violinists of today. Showcasing a wide-ranging and adventurous repertoire, he is consistently cited for his phenomenal technique, soulful approach, and beauty of tone. He has performed with every major orchestra in the U.S., as well as an ever-growing number of orchestras around the world, including the Bavarian Radio Symphony, Royal Concertgebouw Orchestra, Danish National Orchestra, Finnish Radio Symphony, Hong Kong Philharmonic, London Philharmonic, NHK Symphony (Tokyo), Norwegian Radio Orchestra, Rotterdam Philharmonic, Seoul Philharmonic, and the radio orchestras of Frankfurt, Saarbrücken, Stuttgart and Cologne. Mr. Hadelich is the winner of a 2016 Grammy Award for his recording of Dutilleux’s Violin Concerto with the Seattle Symphony and Ludovic Morlot. Other releases include Paganini’s 24 Caprices for Warner Classics, Tchaikovsky and Lalo Concertos with the London Philharmonic Orchestra (LPO Live), Sibelius and Adès Concertos with the Royal Liverpool Philharmonic Orchestra and Hannu Lintu (AVIE), which was nominated for a Gramophone Award, and Mendelssohn and Bartók Concertos with the Norwegian Radio Orchestra and Miguel Harth-Bedoya (AVIE). Violinist/violist Yura Lee is a multi-faceted musician, as a soloist and as a chamber musician, and one of the very few that is equally virtuosic in both violin and viola. She has performed with major orchestras including those of New York, Chicago, Baltimore, Cleveland, San Francisco, and Los Angeles. She has given recitals in London’s Wigmore Hall, Vienna’s Musikverein, Salzburg’s Mozarteum, Brussels’s Palais des Beaux-Arts, and the Concertgebouw in Amsterdam. At age 12, she became the youngest artist ever to receive the Debut Artist of the Year prize at the Performance Today awards given by National Public Radio. She is the recipient of a 2007 Avery Fisher Career Grant, and the first prize winner of the 2013 ARD Competition. She has received numerous other international prizes, including top prizes in the Mozart, Indianapolis, Hannover, Kreisler, Bashmet, and Paganini competitions. Her CD Mozart in Paris, with Reinhard Goebel and the Bayerische Kammerphilharmonie, received the prestigious Diapason d’Or Award. As a chamber musician, she regularly takes part in the festivals of Marlboro, Salzburg, Verbier, and Caramoor. Her main teachers included Dorothy DeLay, Hyo Kang, Miriam Fried, Paul Biss, Thomas Riebl, Ana Chumachenko, and Nobuko Imai. 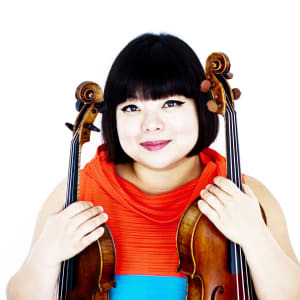 An alum of The Bowers Program (formerly CMS Two), Ms. Lee is on the violin and viola faculty at the Mason Gross School of the Arts at Rutgers University. She divides her time between New York City and Portland, Oregon. Conrad Tao has appeared worldwide as a pianist and composer, and has been dubbed a musician of "probing intellect and open-hearted vision" by The New York Times, a "thoughtful and mature composer" by NPR, and "ferociously talented" by Time Out New York. In June of 2011, the White House Commission on Presidential Scholars and the Department of Education named Tao a Presidential Scholar in the Arts, and the National Foundation for Advancement in the Arts awarded him a YoungArts gold medal in music. Later that year, Tao was named a Gilmore Young Artist, an honor awarded every two years highlighting the most promising American pianists of the new generation. In May of 2012, he was awarded the prestigious Avery Fisher Career Grant. Tao begins his 2018-19 season with the World Premiere of his composition, Everything Must Go, commissioned and performed by the New York Philharmonic. Tao also inaugurates Nightcap, a new series at the New York Philharmonic where performers curate a late-night concert, joined by dancer-choreographer Caleb Teicher and Charmaine Lee for an evening of multidisciplinary performances. He makes his LA Opera debut in the West Coast premiere of David Lang’s new work, the loser, where he plays the onstage role of the apparition and memory of Glenn Gould. In January 2019, Tao and dancer-choreographer Caleb Teicher continue to develop More Forever, their evening-length multidisciplinary work which explores American vernacular dance traditions, as part of Guggenheim’s Works & Process series.